Parents Ashley and Edward Thomas of Idaho recently had their 2-year-old daughter taken out of their home, as police arrested them and locked them up in jail. Their crime? Edward is a disabled military veteran who suffers from PTSD after serving in a combat role in Iraq. Not doing well with toxic pharmaceutical drugs, which many reports link to an alarming increase in suicide rates among veterans, Edward turned to medical cannabis to ease his stress and stop his seizures. In many states, this would be perfectly legal, as most states are moving towards approving legislation for the medical use of marijuana, if not decriminalizing entirely. But not in Idaho. 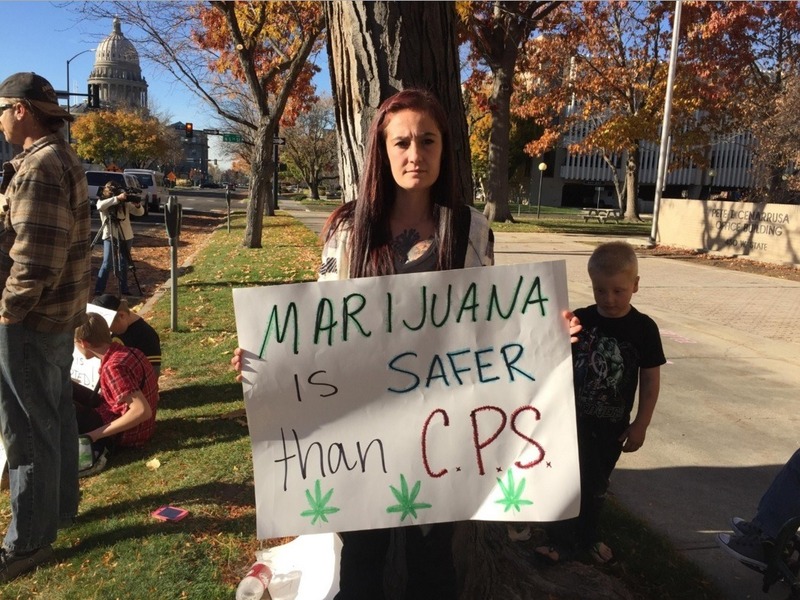 Idaho is the home of these young parents, however, who need the support of their family in their home state. Now Edward and his pregnant wife face a future as branded criminals as the State of Idaho takes custody of their children. 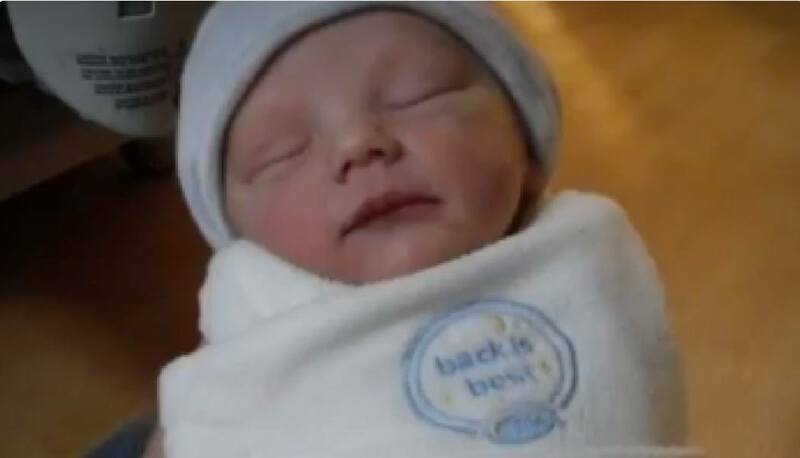 An Idaho newborn who was seized by Child Protective Services the day before Thanksgiving over vaccine refusal was conditionally returned to his parents on Friday, December 1. 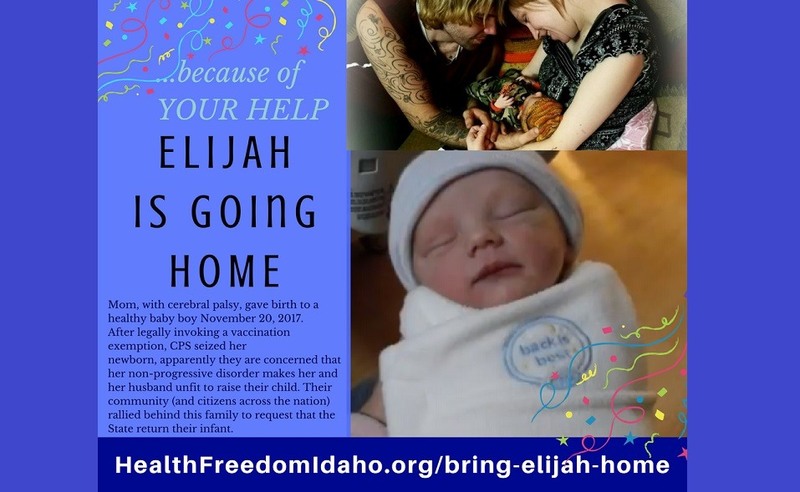 While supporters are rejoicing over the judge's decision, there is a great deal of concern over the state of Idaho's overreach in taking baby Elijah. Precious bonding time was lost, and a new family has been traumatized. 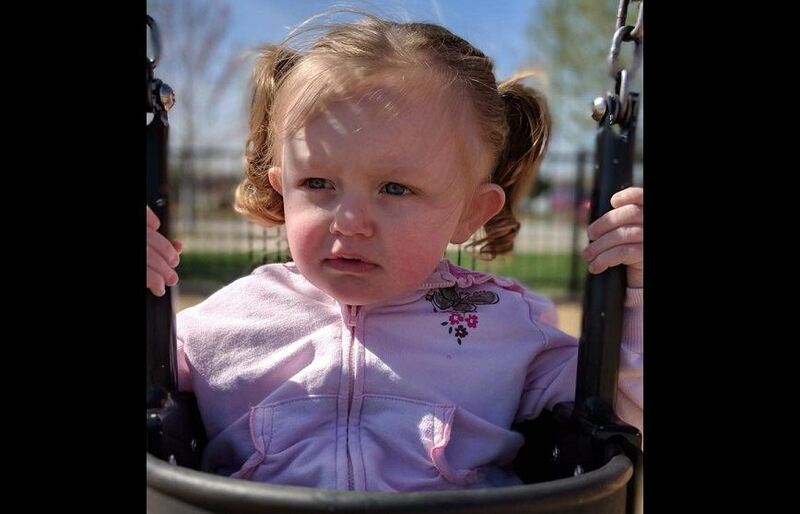 Diamond Mehlhoff has cerebral palsy, which is a brain disorder affecting movement. Despite her disability, she is active and involved in her church. She lives with her husband Ari and the baby's grandfather. 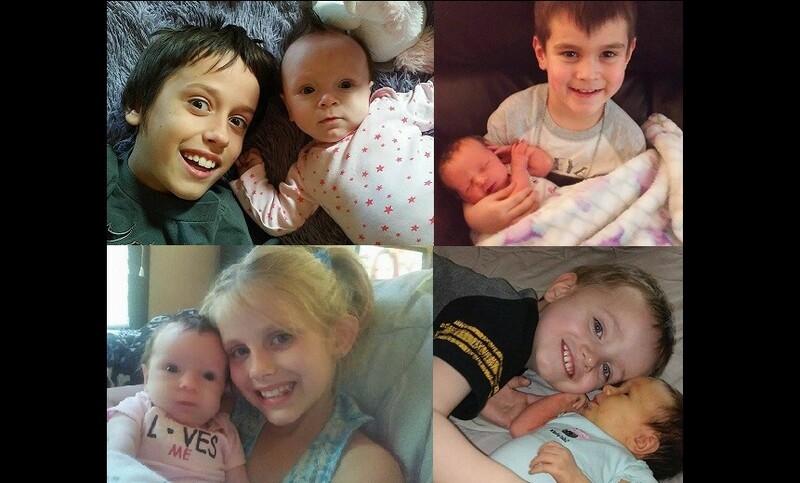 For the Mehlhoff family, they have won a temporary victory. Their baby is now home with them. Their church family has rallied around them and will be providing round-the-clock support. Like every other family that comes under the heavy hand of Child Protective Services, the couple will have to jump through hoops as they prepare for the next court hearing. Something unconscionable has happened in North Idaho this last week. We were notified by the daugther of a local pastor here in Kootenai County regarding a woman of his congregation, Diamond Mehlhoff, who gave birth in Kootenai County @ KMC on Monday November 20th via C section. On Wednesday November 22nd, after the parents refused vaccination for the baby, the state became involved and took this beautiful baby, Elijah, from his loving parents, claiming the mother to be unfit due to a diagnosis of cerebral palsy (a non progressive movement disorder). Their court hearing is tomorrow, Monday 27th at 8am @ 205 N 4th Street Coeur D Alene ID 83814 in the Juvenile Justice Center. They are asking anyone available to please come support them.